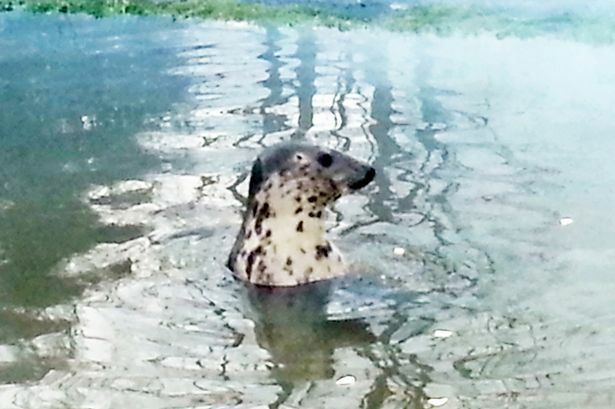 A female seal named Keith arrived in the River Severn last month after flooding. Anglers have approached Natural England for a licence to allow a marksman to shoot it as they claim they need to defend dwindling fish stocks. We are taking his/her stock actually. “One animal in a large river like the Severn is unlikely to have a significant impact on fish stocks. “This is natural predation and it will eventually make its own way back out to sea. This entry was posted in Animal Work and tagged Kevin the Seal, River Severn. Bookmark the permalink.